It seems as if we'll finally be settling back into the Snippets Playground routine posts from now on. It was great fun running the Grand Draw, although a bit of a task I admit, and I'm so glad you all seemed to have a good time playing along! 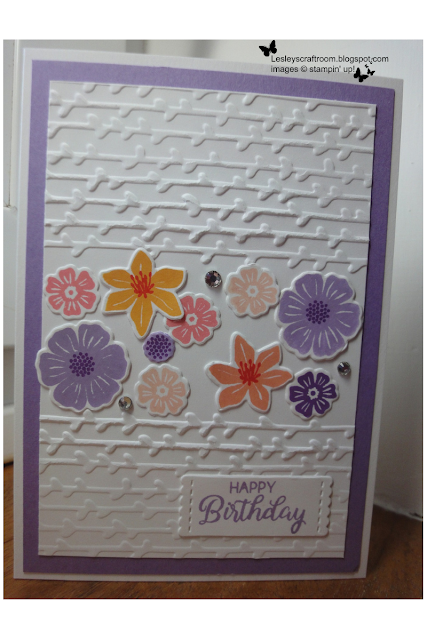 Lesley G has used snippets for her flowers on this lovely card - I know we all have tons of white snippets for sure. The extra clever part is dry embossing the top and bottom parts of the card whilst leaving the centre portion plain - the number of embossing folders I've deliberately bought with plain centre portions and yet just never thought of doing this, great idea Lesley! I just love this great card for a golfer - shared with us by Janice. Plenty of snippets used and also such a clever design and fun sentiment. Do hop over to Janice's blog and check out how she made it! Lots of you have been playing with stripes as a way to use up snippets - I really love this card made by Jackie T. Such rich colours and so very Christmassy. This could be the year for using up lots of leftover snippets of patterned paper! 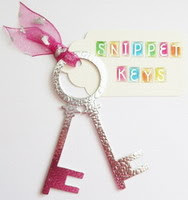 And, snippets aren't only about paper either! Kath used up lots of fabulously coloured snippets of ribbon to create this gorgeous card. The colours do remind me of liquorice allsorts! Kath's ribbons are the self adhesive type although am sure you could adapt her great idea to work using self adhesive sheet adhered to a piece of card and then non-adhesive ribbons laid across - not that I could ever achieve the precision that Kath did! First of all we had Lynda with a great card but when I added a copy of the image from Instagram I lost almost ALL of this post on Friday and spent a lot of Saturday recreating it! The post was wrecked with reams of HMTL code knocking everything out of sync. So, in the interests of preserving my sanity I'm just going to say that THIS is the link - you may need Instagram to view it of course. It's the very first entry we've had from an Instagram account, probably not the last, but I do need time to work out how not to muck up half a day's work, sigh. I suspect that my quick and easy copy and paste will mean copy, save, fiddle around and then add into a post? 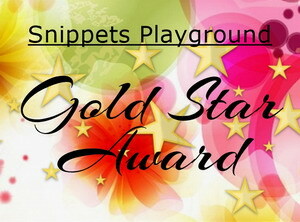 Welcome to the Snippets Playground - and what stunning colouring as well! Hope you all come back and play really soon. Do please send me your address Kathy, with full name at the top as well so I can copy and paste or just write straight from the email onto the envelope - for speed and ease. It's also confirmation that you still would like the prize of course and I'll post your prize once I hear from you. Please put Playground Winner or similar in the subject line of your email in case it drops into my junk mail. Email address is on RH sidebar as always. I'll post the prize off to you this coming week. 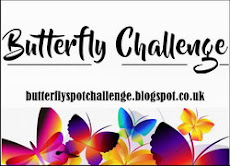 Remember folks, there's still almost another week to run on Challenge #344 - you can find it HERE. The prize is a Sizzix 'Love You Tons' (really cute Narwhal) set of stamps and matching dies just perfect for Valentine's Day which was kindly donated by Linby. We're still having to watch Dudley very closely - he suddenly developed an interest in a couple of low level shelf edges in the kitchen. Luckily Len spotted him straight away but it shows we're certainly nowhere near out of the woods yet! A lot of it is down to the endless teething he's going through so we keep him well supplied with chews of all descriptions. Although I know that opinions are mixed about hide chews, Dudley arrived here with some from his breeder and he adores them, although we never leave him unattended with one. Congrats Kathy! And thank you for the warm welcome!!! Really love the creative way the picks used strips of snippets! Haven't done anything like that in quite awhile, but need to. 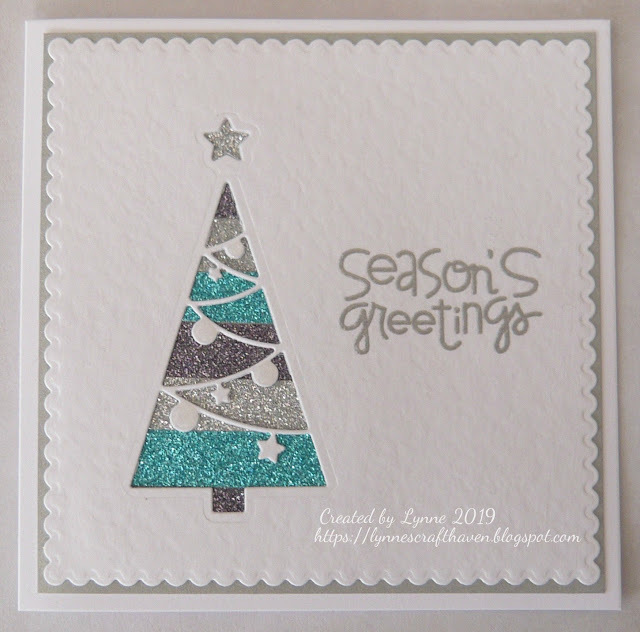 I really love the gorgeous tree die with the beautiful glitters! Oh that Dudley--such a character! He brings back memories of Fritz who grabbed anything he could reach until he was 2! I don't think I sat in my chair for more than 2 minutes at a time for 1 1/2 yrs! Wish we could walk Fritz & Dudley together in their new coats! The usual great picks and good to welcome three new visitors to the Playground. How frustrating to have lost the post and having to do it over again - computers are brilliant but they do have a downside at times!! THANK you Di, for picking my name from the proverbial hat and thank you to the ladies above for your kind comments too - all much appreciated. Hi Di, well lots of wonderful picks with our playground folks and congrats to Kathy too! I think embedding just a link to cards from Insta is perfectly fine. If folks are interested they’ll be joined up to it anyway. Happy Nippets dear Di and love the Dudley updates, thanks for all your work in playground too. Congratulations to the winner and you have some lovely picks. I'm the one that caused you so much trouble this month. So sorry! I don't have a blog & don't want to start one right now. I would like to enter again though so how about sending you a link from Pinterest or My Gallery at Scrapbook.com? I'll have comments from here sent to my email so I can see your answer. Of course you can enter again! I wish I hadn't said anything now, sigh. You can still use Instagram - if I have you as one of the picks in future then I'll try saving your image to my computer and taking it from there. 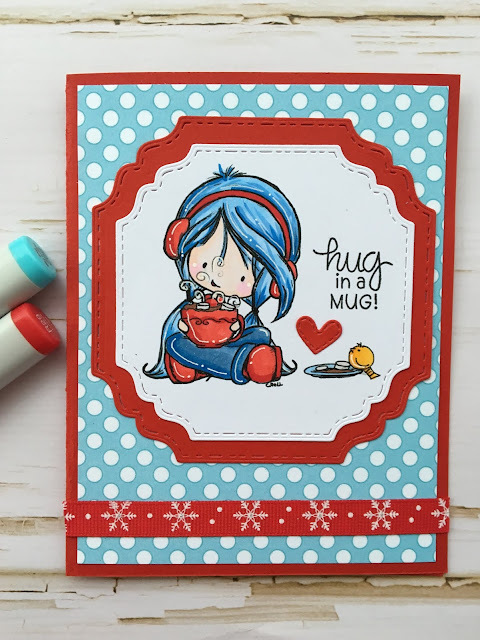 One blogger already said she will hop over to see your card using the link on my blog post that went live today. The LAST thing I want is for anyone to be put off joining in with us. 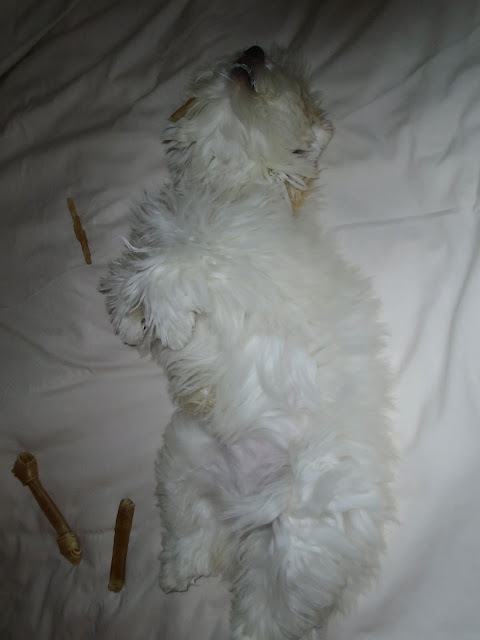 Dudley is so adorable, he looks so content lying there on your bed! Thank you for picking my card as one of your Top Picks this week Di. Some really super picks Di and a fabulous photo of Dudley. 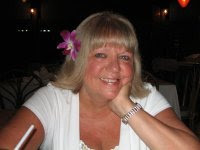 Hi Di, have been absent for too long, I know, but life has been tough the last year or more.....Congrats on your 7 th year blogaversary! Your challenge is just a lot of fun - expect to see me again, as my life has somewhat improved this month. Hopefully it will stay that way.....Lovely picks, as always! And your little bundle of joy - I wish I could pet him. Too cute!!!! Had to pop back.. glad Kath gave you a hint Di re your giant world wide blog hop thank YOU at Darnell's was wonderimg what you'd think!!?? Sending ginormous hugs dear Di do love you dearly. Wish my UK trip included as far south as you but can't be helped. Happy Snippets.. not Nippets as I dopily wrote above. It was bedtime. May the Lord bless you dear Di for your kind caring heart in Snippets playground for so many years. Was excited when realised my first visit was your no 11 challenge early in March 2012 ... felt it has been a while. Hi Lynda I popped over to see your card and welcome you ti the playground! Am following you too. I'm Shaz in Oz, but gumnut66 on insta. What a nice bunch of people are involved with Di's blog. 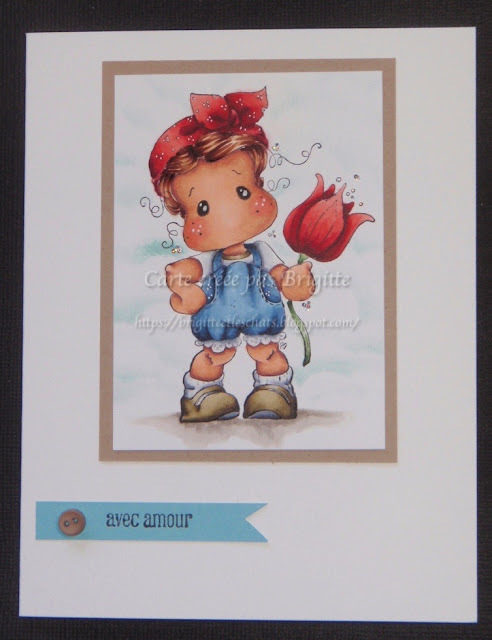 I really appreciate your welcomes & will for sure be back soon to post a card! 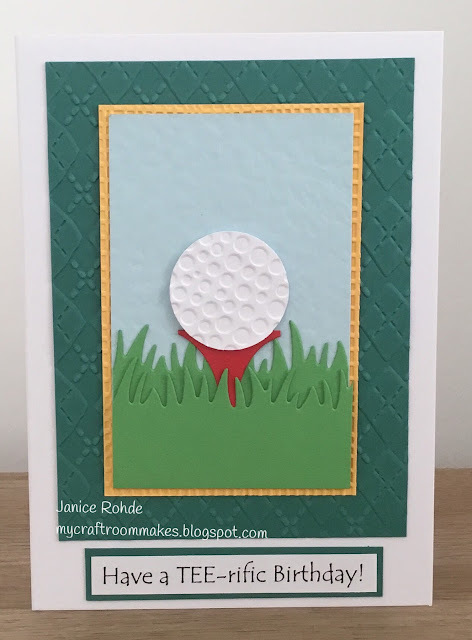 Thank you for choosing my card as one of your picks this week Di, really pleased you liked my golfing card. Congratulations to the other ladies and of course to Kathy K. Great photo of Dudley. Fab picks and lots of inspiration for snippet use. Just love the pic of Dudley he looks so much like the Westie I had in that position - i.e. white fluff!